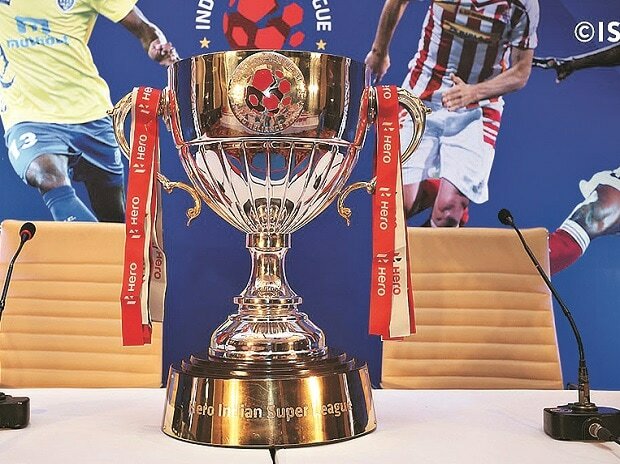 Hero MotoCorp has renewed its association with the Star India and IMG Reliance-promoted Indian Super League (ISL) for another three years, tripling its investment in the domestic football tournament. On board since the league's launch in 2014, Hero's previous deal with ISL was valued at $8 million (around 51 crore) for three years. The renewed deal is estimated at $25 mn (Rs 160 crore) for another three years. "ISL has proven a success in terms of spectatorship (in-stadia attendance) and followership (TV viewership, social media engagement). As part of our strategy on football, we have tried not only to create a domestic football league to promote the sport but also attempt to increase the width of the games available to viewers. Hero's commitment affirms the belief (we have) that the league is primed for a revenue upswing as well," says Sanjay Gupta, managing director of Star India. Hero's commitment will extend further than the title sponsorship to in-stadia visibility and on-air spots. The deal for the title sponsorship of the ISL is as hefty as the one Chinese handset maker Vivo signed for the title sponsorship of the Pro Kabaddi league. Vivo's association is priced at Rs 300 crore for five years. After IPL, Pro-Kabaddi is the most viewed domestic sports tournament, followed by the ISL. ISL was launched in 2014 through a joint venture between Star India, IMG and Reliance, called Football Sports Development. The 2016 season had viewership of 216 million, a 41 per cent rise over the 2015 one when it was 207 million. The 2016 instalment had a total of 10 sponsors and Gupta feels this is set to increase. "I feel the money pumped into the sponsorships would also grow significantly this year," he adds. This year, ISL will see the addition of two teams to the existing eight. Jamshedpur and Bengaluru are the two cities added to the franchises, which means the team sponsor portfolio is also set for expansion. To provide more games to viewers, Star India will be using its digital video streaming platform, Hotstar. Since it might not be possible to programme on TV all the matches that take place the year round, Hotstar will become the digital destination for the complete schedule. The network does this with the English Premier League matches, which can at times take place simultaneously.